As is too often the case, we learned of the passing of a comrade much too late to offer proper condolences. Gus Schaefer passed last month, but we only learned about it this month. Our thoughts and prayers are with Gus’ family. 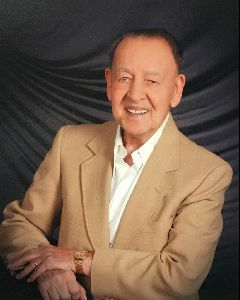 Gustav W. Schaefer, 85, of Brethren Village and formerly of Millersville, passed away at the Lancaster General Hospital on Monday, July 17, 2017. Born in Lancaster, he was the son of the late Gustav and Pauline Rossler Schaefer. Gustav and his wife Janet M. Kreider Schaefer celebrated 60 years of marriage last April 29th. He served in the US Air Force as a Staff SGT with the 87th Air Base Squadron at Geiger Field, Spoke, WA, during the Korean War. Gustav worked for UGI, retiring as a dispatcher in 1993. He was a member of Millersville Community Church, Millersville Veterans of Foreign Wars Post 7294, and the American Legion Post 34 in Lancaster. Gustav enjoyed gardening and cooking. In addition to his wife Janet, Gustav is survived by 14 nieces and nephews. He was preceded in death by 4 siblings, Eleanor, wife of the late Bernard Pawlowski, Herbert Schaefer, husband of the late Jane (Kreider), Elizabeth, wife of the late Richard Gehr, and A. Clair Schaefer, husband of the late Jeanette (Herr). A viewing will take place from 1 to 2 PM, followed by the funeral service at 2 PM, on Friday, July 21, 2017, at Millersville Community Church, Grace Campus, 163 W. Frederick St., Millersville, PA 17551, with Rev. John A. Laughlin officiating. Interment with Military Honors will be in Millersville Mennonite Cemetery. In lieu of flowers, memorial contributions may be made to the Millersville V.F.W. Post 7294, 219 Walnut Hill Road, Millersville, PA 17551.